I’ve been blogging since August 2003, and this wordpress blog took over a previous blog in January 2008. I started several blogs, a couple with collaborators, for specific purposes and encouraged friends and my students to do the same for their projects. There are few blogs beyond those of my students whom I managed to encourage into reality. When it did happen, they lasted! Friends I strong armed into blogging because they have interesting stories to share. These were started on the NUS blogs portal to highlight relevant articles and other information I encountered on a weekly basis and did not involve participation. I eventually switched to Facebook which they are more highly engaged in. In the end I realised for my simple purposes, pushing the few but highly relevant articles to them by email was a more effective method. These blogs were stripped of their content and put to rest. Having initiated individual students, it was time for a class to try. In 2008, I began with the LSM1303 Animal Behaviour class (about 200 students) in 2008 and it worked well so it still continues (seventh year in 2014). I also tried it for a few semesters with the LSM2251 Ecology and the Environment class (also about 200 students) in 2010 and 2011. A chronology of my computing and cyberspace experiences. 1981 – I am introduced to the Apple ][ and its 0.996 MHz 6502 microprocessor in St. Andrew&apos;s Secondary School. Some of that history is in the MacSingapore interview of 2002. 1983 – I conduct my first computer class, on the Apple ][ for the largely bespectacled neighbourhood kids at the Serangoon Gardens Community Centre. Three of my fellow Apple-addicts at the club helped me. 1986 – whilst in the army, I visit my JC classmates at NUS and they give me access to the IBM 3270 terminals and I figure my way around those and eventually get on to the internet. "How are the fjords?" I ask one Norwegian, to his surprise, over the glowing green text on the screen. 1988-1990 – After using an IBM PC or two, I discover Mac II SEs at the Computer Based Learning Centre at NUS and in 1990, I have no competition for use of the Mac IIcx in the Zoology Teaching Museum. 1988 – I discover Pagemaker which I use after someone finds a mouse and help typeset and print The Mudskipper, a student magazine of the Biological Sciences Society, for offset printing. 1989 – I organise and conduct workshops for staff and students in the Department of Zoology on Wordstar 4, Frameworks and dBase III+. 1990 – I prepare camera-ready printouts for the department of Zoology&apos;s 40th anniversary publication, Essays in Zoology – Peter Ng, a new lecturer at the Department of Zoology claims, at a staff meeting in my absence that [honours student] "Siva and his mac can do it!" I use Word 5.1 for Mac on the Mac II SE to typeset the document and get permission to use a rare laser printer in the Faculty of Science. It gets heated up badly and requires frequent interruptions to cool down, so I work overnight and have the air-conditioner blast into the printer. An oversight but we will finally put this online in 2012. 1991 – I write a review paper on otters of Malaya on a borrowed Toshiba laptop, finishing the paper just before a conference in KL. 1992 – The first Macintosh I buy is a 16MHz Powerbook 140. 1994 – I am Publications Editor of the Raffles Bulletin of Zoology and work with Photoplates Pte Ltd to publish the journal. I help prepare a bibliography for the journal using Excel and Word on my Mac. 1997 – My second Macintosh is a 133MHz Powerbook 1400cs on which I use OS 8.6. I work as Publications Manager for Kyoto University by proxy and publish a proceedings of a DWIPA conference held in Singapore – using Pagemaker and Word. It is considered a hopeless task which is why I was asked to take over! I complete it and ship the hard cover publication to Japan. 1998 – Onelist make mailing lists communities easy to setup and join. I set up the Habitat Group&apos;s mailing list and provide two services to the public – Ecotax and Habitatnews. I join ME@N, a macintosh user group out of NTU that I learn about from Gregory Chan. 1999 – NUS Faculty of Science&apos;s CITA provides me with server space when I attend a two hour course to learn how to setup a webpage. Jasmin Chua, an undergrad and later my apprentice, suggests I blog. I also try Blogger but get confused with server settings and decide, "maybe later!" I concentrate on quickly providing and editing static content to organise projects and maintaining my mailing lists communities. I pay for the domain name sivasothi.com. 2000 – I obtain server space and the domain for Habitatnews http://habitatnews.nus.edu.sg/ where I post static webpages about news, events and activities, to complement the 1998 mailing list. 2001 – Thanks to Ria Tan, mangrove workers around the world were able to access the two-volume Singapore Science Centre mangrove guidebook just two years after it was published. Chek Jawa is discovered and I mount a webpage to consolidate information at http://chekjawa.nus.edu.sg and it carries an email address which serves as a communication point with the public. I am working 20-hour days and the server space is invaluable. I collaborate with Ria Tan who is inexhaustive, and my 4.00am emails are answered immediately! She would later start WildSingapore, an invaluable nature news and events portal. The largest nature appreciation public walks in the history of Singapore are organised with a just a simple webpage and email. More than 2,000 people visit. The site is still an important repository for information about the events of that time. 2002 – I make the switch to OS X from OS 8.6 when I purchase my third laptop, an iBook 600. 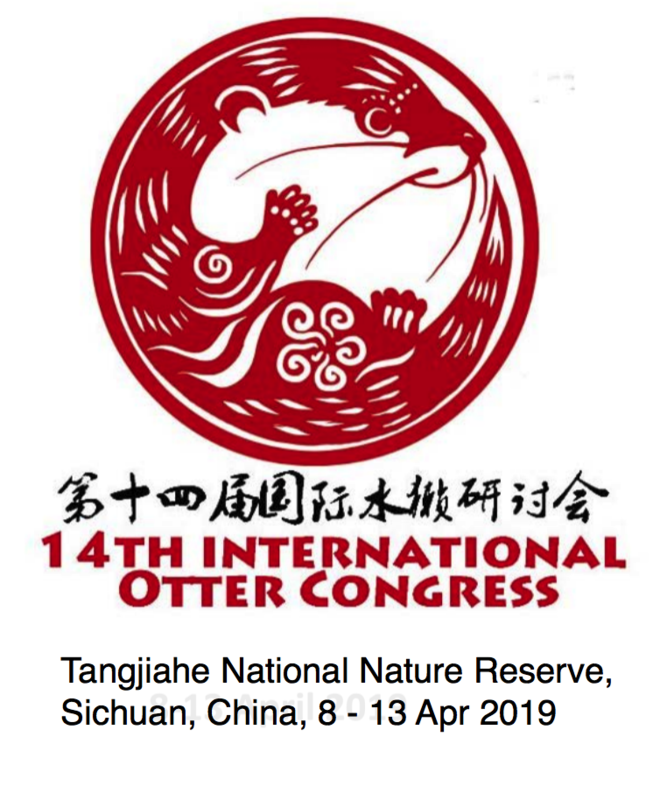 It is incredibly seamless out of the box and on to the plane to India for a meeting of the Otter Specialist Group and I write an article for the Me@N list based on the experience. I am expedition leader of Ex Anambas. Just a proposal written in 1999, it comes to life through the efforts of Ambassador Hashim Djalal of Indonesia. I am given just one month shortly after the exhaustion of Chek Jawa to make it happen with their support and the expedition is a resounding success. The important thing after is to ensure information is disseminated immediately, so I host the Ex Anambas webpage which includes all preambles, published papers, press reports and even the sketch maps I made of the daily sampling sites! I was terribly ill after our return but made sure I burned all this and more on a CD for each expedition member – everyone expedition member had everything they needed. A SQL, web ready version of the museum&apos;s ground-truthed herptile database is available with restricted access for researchers, in collaboration with SIBILL&apos;s Lim Yun Ping and museum curator Kelvin Lim. This is the latest step of a long journey to verify and digitise our databases to provide accessibility to enhance research. 2003/2004 – Papers from The Raffles Bulletin of Zoology are scanned and published online – free for all to download and read! This surprised librarians of major institutions when I emailed them with the news! Our museum is small and nimble, and with its history and current effort, we have lots to share. 2003 – I am a Firebird/Firefox evangelist. Mar 2003 – Bernard Teo demonstrates blogging with Samizdat, which he says is a marginal modification of PHPosxom, which is in turn based on Blosxom. Jun 2003 – During a Mac Meetup at his office, he conducts a tutorial about Samizdat for me and I take notes. Aug 2003 – carefully following the instructions I wrote down, I start Otterman speaks… after some hiccups. That provisional title is never changed. Dec 2003 – Lekowala starts blogging. Student mangrove researchers are made to use blogs to host their field logs. I dig out and follow made-in-Singapore blogs with a keen eye. Jan 2004 – Alvin starts blogging, and we decide on Blogger after a demonstration of Samizdat makes me realise it is a little challenging. Thus when blogging is discussed at the monthly mac meetup, I now recommend Blogger and LiveJournal. Feb 2004 – I adopt Samizdat for Habitatnews, the first nature and environment blog in Singapore. Although the blog setup takes a few minutes, I spend 6 hours fiddling with the design and cleanup up the server directory. Mar 2004 – Debby Ng meets me in Holland Village to discuss her environmental concerns after a recent dive trip. I direct her to blogging and get her started on the spot using my trusty 14.1" iBook. I suggest the provisional name "Pulau Hantu – a celebration of marine life," and this sticks. Debby a writer, posts regularly at this first marine conservation blog in Singapore. It becomes a rallying point for divers and the biodiversity community concerned about the fate of our marine life. Apr 2004 – I work with Ria Tan who converts the Mangroves of Singapore Guidebook published in 1999 to a low-res webpage for easy download by a 33.6k modem. NUS grants me the domain name and http://mangrove.nus.edu.sg/guidebooks/ is launched at the Singapore Science Centre on 17th April 2001, as Ria&apos;s first print to web project to be launched! Apr 2004 – I turn my attention to the Raffles Museum Latest News page, a static webpage, and think to involve other museum staff in posting news directly. Pivot is examined but discarded as too complex. Samizdat doesn&apos;t provide individual date-stamping and I raise this at the at the monthly mac meetup. Seng Aik mulls over this and later, on an overnight fault-finding session via iChat, he fixes this and the search function – we finally finish after 4am. The NUS Science Open House team reports on feedback about the event and blogs provide the best source of true comments. May 2004 – I mention blogging as a useful communicative tool at a database workshop in KL and one participant nods in repeated agreement with the many simple things I suggest – he turns out to be Chang, the IT guy behind the Subang Jaya e-community. He introduces me via email to Jeff Ooi who pens the very impressive Screenshots in Malaysia. I abandon phpetal as too tough. Realising I am the only person who will be posting, I decide to use Samizdat engine for Raffles Museum News. It is the first museum blog in Singapore and turns out to be one of the first in the world and is probably so for natural history museums. Blogger is acquired by Google and is revamped. We adopt a new templates for the Pulau Hantu blog which looks lovely! I also shift the blog to the Habitatnews server to provide Debby with unlimited space and a means to post photos. I start two more shared blogs: the first is Pulau Ubin Stories which captures nature and heritage stories of Ubin in support of the volunteer programme, Pedal Ubin. The second is The Biology Refugia with a few other friends to keep discussions about non-molecular biology alive. These blogs are hosted on the Habitatnews and my staff servers to allow easy image uploading. I also share notes I picked up about front-end editing and emailing entries with all my collaborators – these tools that make blogging easier. Jun 2004 – Some mistake with ftp and all the earlier Raffles Museum news entries get date-stamped as 24 June 2004. This is a vulnerability in the way I use the blososxom family of tools so now I use date-indexed filenames to preserve the chronological sequence to pre-empt a future problem (it never happens again, thankfully). I get Leong Wai to start up the Labrador Rocky Shore blog. Jul 2004 – Jasmin Chua, former mangrove apprentice, now a writer and editor in NY and the first to encouraged me to blog in the late 90&apos;s, terminates swisscheesed. Aug 2004 – I setup the Cycling in Singapore blog for a small cycling/urban transport discussion group, as a means to archive and later contribute coherent ideas to. Paul Barter goes on to setup the Urban Transport Issues Asia blog. Picasa bring pictures for free to blogger! The NDP 2004 blog project illustrates you can&apos;t manufacture blogging. Ria Tan participates with great volume and converts her content to static pages later. Oct 2004 – I reproduce Vicki Ho&apos;s blog entry, with permission, in Raffles Museum News and we become online friends. Dec 2004 – I toy with methods to link my blogs , trying out zFeeder, feedburner, and bloglines. Hope to fix image appearances in my RSS feeds by year-end. Applecare Singapore provides me with a refurbished 1GHz iBook after multiple breakdowns due to faulty 3rd party manufacturers. May 2005 – The height of my blog evangelism, I present to the Museum Roundtable. They enjoy the talk, but the overworked museum roundtable community probably just see it as more work. Jun 2005 – I opt out using meetup.com when they decide to charge and attendance drops after two years of monthly meetups; everyone gets busy. So I decide to take a break but shift the webpage to Mac Meetup Singapore and a mailing list that will allow non-ME@Ners to find us. This series of mac meetups date back to 1999. My old botany professor, Wee Yeow Chin starts up the Bird Ecology Study Group blog after just a couple of short conversations proving those who can, will! Jul 2005 – I solve the problem of non-existent comments on my blog engine when I ponder and persist, eventually posting the solution, Adding Haloscan comments to Samizdat". I am feeling quite pleased as it is the most geeky thing I&apos;ve done, possibly since reprograming a missing key on an Apple ][ keyboard the night before a workshop at the community centre, 21 years ago. I update the post in November when I discover a missing step. Probably no one else in the world is using it! Feb 2006 – I join the Yesterday.sg discussion and this NHB-fueled blog gets started soon after. It is the first government-community blog. 30 Mar 2006 – I receive my 1.83GHz MacBook Pro and it amplifies my capabilities. 14 May 2006 – I blog from a Boeing over the Pacific. Just a few years previously in August 2002, I had emailed the ME@N list from a taxi in the CTE and thought that was cool. A few months later, Boeing cans the service. 2006 – I stopped being a blogging evangelist (conducting workshops) in museum and nature circles, when I realise those who can, will. It&apos;s not for everyone but many nature bloggers emerge and I am happy at least to have had a direct hand with Debby Ng and Wee Yeow Chin. Dec 2006 – I use WordPress for the first time, when I sail "Aboard the Götheborg" in December. Cut off from the internet and too busy coping, I don&apos;t write much but its enough for a primer for articles in future. Jan 2007 – I start the department blog – The Biodiversity Crew @ NUSat the urging of Navjot Sodhi who recognises the importance of communicating science. Apr 2007 – I gingerly start my first NUS Module blog and in the following semester, start four more. I update relevant content after each lectures. May 2007 – I make my interns blog (Raffles Museum Internship) and revive my 2004 exercise of making all my research students blog. Jul 2007 – I shift Raffles Museum News to wordpress and hand it over as I am leaving the museum for the department to teach full-time. I discover Posterous which you can blog by email and blogging workshops just got easier! Sep 2007 – I am too ill on the morning of the coastal cleanup, so I stay at home and start "News from the International Coastal Cleanup Singapore", also on WordPress. It turns out to be prophetic for the NUS server fails and I post the 2007 results on a page in the site. I use Ecto and MarsEdit to update the blog. Nov 2007 – Ria Tan finally switches to a blog engine for her updates on WildSingapore. I announce this on Habitatnews which I intend to slow down to a halt. Oct 2007 – I migrate the Toddycats blog to WordPress. 2007 – after meeting Carol Spencer (UCB, 08 Sep 2005) and Michelle Koo in (CAS, 09 Sep 2005) in 2005, I attend georeferencing training in 2006 and begin work with interns and curator Kelvin Lim to publish Raffles Museum&apos;s herptile database online with HerpNet, along with major institutions around the world for ease of research. Jan 2008 – My blog loads too slowly on the science server so I shift my personal blog "Otterman speaks…" to otterman.wordpress.comwordpress. Apr 2008 – the first NUS Student Module blog assignments are attempted for the LSM1303 class of 200 and it turns out pretty well. The main module blog, meanwhile, becomes part of required readings. Aug 2008 – we asked for and receive iMac Minis for the Life Sciences Lab with extended keyboards and Samsung monitors. I install the lot and all is time for the first batch of LSM2251 Ecology students who are introduced to effective use of Google Maps through The Map Prac at http://tinyurl.com/lsm2251-mapprac. Mar 2010 – The second batch of LSM2251 ecology students blog about local nature on an NUS blog entitled, "Ecological Observations in Singapore". Oct 2010 – My department issued MacBook Pro was 4.5 years old and working well, when the department IT guys switched it for me with a 1-year old MBP which they had on hand. Sweet! I grapple with blogging and decide I need to keep it up more than ever. 2012 – I combine my evangelistic talks about the Mac, Firefox and Web 2.0 into a single theme – Digital Literacy, which I integrate into biology modules. 08 Jul 2013 – thanks to Renita D for messaging me edits via Facebook from Germany, which I corrected with my phone whilst riding the MRT home!